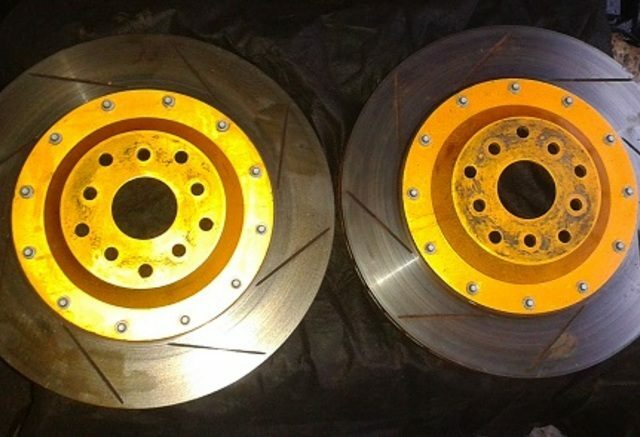 We have for sale our current brake kit to fit Impreza's from 92-07. This is the AP CP7040 kit using the 6pot CP7040 calipers on Subaru mounting kit and have 355mm x 32mm 2 piece rotors which are monster disc only fitting under 18" rims. The pads are Ferodo DS2500. we will also throw in a set of new external brake lines as if they are improperly treated they can be damaged easily due to their exposed nature.